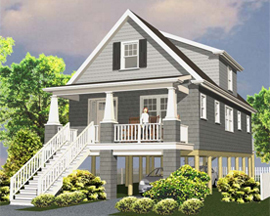 The Pasadena - This shore friendly home features a broad front porch with craftsman columns an expansive great room, dining area and custom kitchen. With the Master Bedroom suite on the first floor, this home is perfect for just the two of you, but with three additional bedrooms and a full bathroom upstairs, easily expands to handle the entire family. 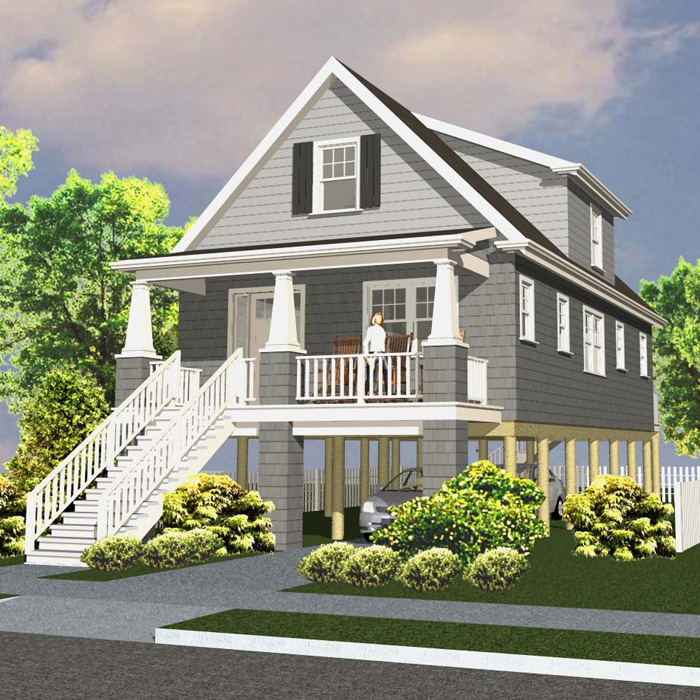 This home will fit on most 40 and 50 foot wide lots and can be modified for both A and V flood zones.